Although the vast majority of people from Norka immigrated to the United States, Canada, and Germany, several reports confirm that a small number immigrated to South America. Some of the families that initially settled in South America, later immigrated to the United States. 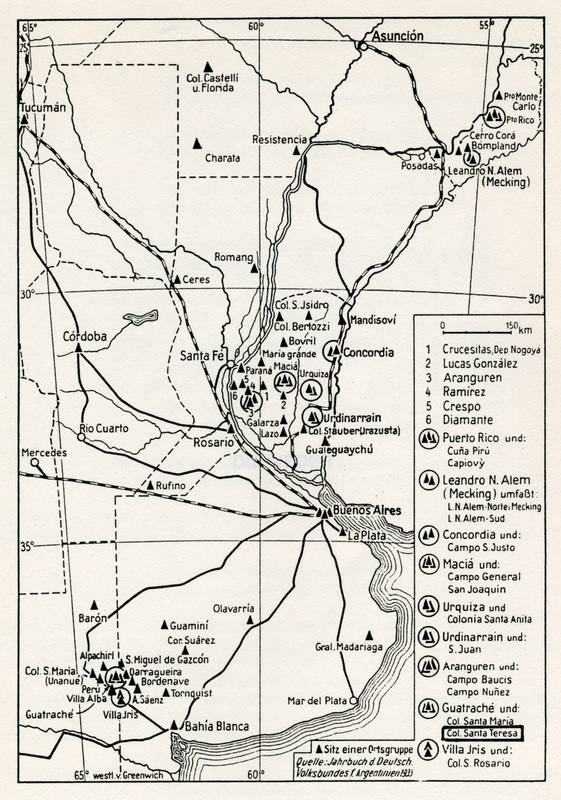 According to Ruth Nielsen, her contact in Entre Ríos, Argentina reported that the Russian "mother villages" of Aldea San Juan are both Norka and Dönhof. Aldea San Juan is located in Entre Ríos Province on land which was once owned by Johannes Spangenberg. Spangenberg was a German diplomat who sold the land in 1889 to a contingent of Volga German immigrants. German Settlements in Argentina. Source: "Jarbuch d. Deutsch. Volksbundes f. Argentinien" (1933) as published in Handwörterbuch des Grenz- und Auslandsdeutschtums, Carl Petersen, ed. Nielsen, Ruth. Personal email to Steven Schreiber.